West of Briarcliff Rd is a section of Druid Hills often merged in our minds as part of the Virginia Highland neighborhood. 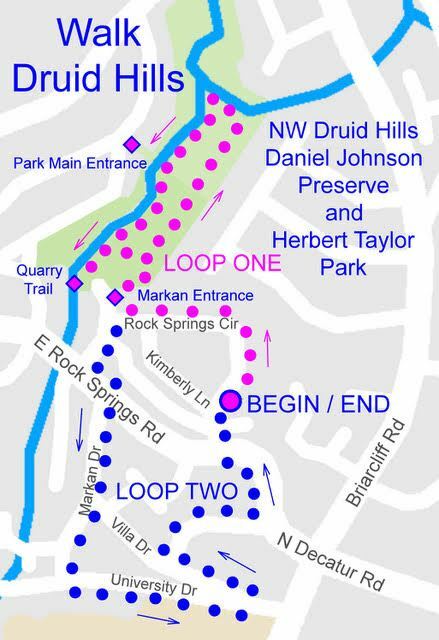 Please join Walk Druid Hills as we explore this little known sector of Druid Hills, as well as the beauty of Daniel Johnson Nature Preserve and Herbert Taylor Park. We’ll meet at the corner of Rock Springs Circle and Kimberly Lane on Saturday, June 10, 9:00 AM. Parking is available along Rock Springs Circle. The walk is approximately three miles and includes uneven terrain and dirt and gravel trails.